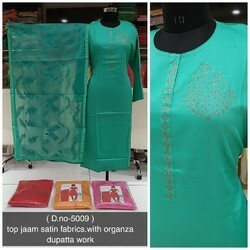 Our product range includes a wide range of party wear salwar suit, embroidered ethnic suit, embroidered ladies suits, fancy ladies suits, fancy embroidered ladies salwar suit and designer salwar suit. Stylish beige printed semi stitched suit paired with unstitched salwar & rust color designer dupatta. These suits are available in 4 colour. 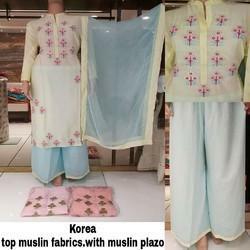 Tempting white embroidered work semi stitched suit paired with unstitched salwar & designer dupatta. 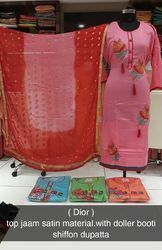 Lavish pink embroidered work semi stitched suit paired with unstitched salwar & designer printed dupatta. Awe-inspiring orange semi stitched suit paired with unstitched salwar & designer dupatta. Lush black semi stitched suit paired with unstitched salwar & designer dupatta. Divine sky blue semi stitched suit paired with unstitched salwar & designer dupatta. 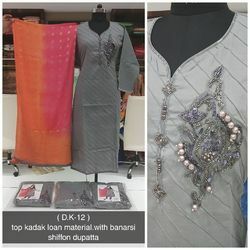 Beautiful grey embroidered work semi stitched suit paired with unstitched salwar & matching designer dupatta. 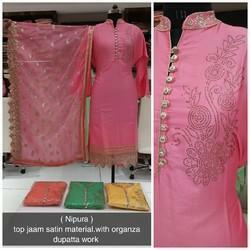 Designer pink semi stitched suit paired with unstitched salwar & designer printed dupatta. 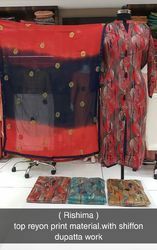 Designe printed Salwar Kameez paired with unstitched salwar & red designer dupatta. Exquisite sky blue embroidered work semi stitched suit paired with unstitched salwar & designer dupatta. 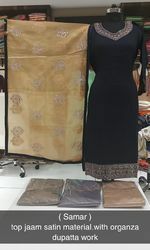 Fancy Plazo Suit can be made available in different sizes and feature latest styles & designs which make them provide for stunning looks. Making wearers look gorgeous, these have high popularity in the market amongst fashion conscious ladies. Some of its features include available in a variety of fabric choices; exclusive work delivered on fabric that adds a touch of elegant dressing support; designer appearance; fine finishing support for vibrant looks and others. Attractive yellow embroidered work semi stitched suit paired with unstitched salwar & designer dupatta.